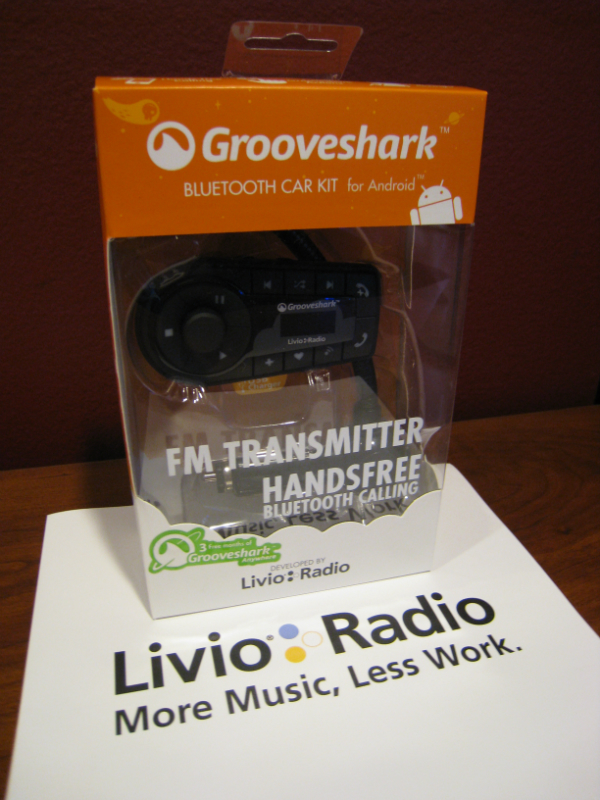 Having never used Grooveshark before this, both Grooveshark and Livio Radio’s Bluetooth Car Kit Adapter were new to me, and so this review is from a complete newbie perspective. I don’t intend to review the Grooveshark service itself, but merely the integration level and support that this Livio Radio product offers for the Grooveshark service. So let’s get things going, starting with unpacking of the unit.